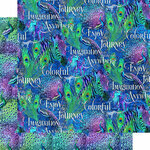 Add a Rainbow of Color to your pages, cards, mixed media projects and more with this 12" x 12" double sided paper from the Kaleidoscope Collection. 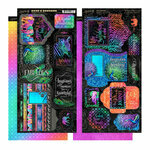 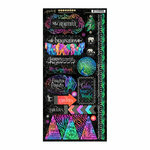 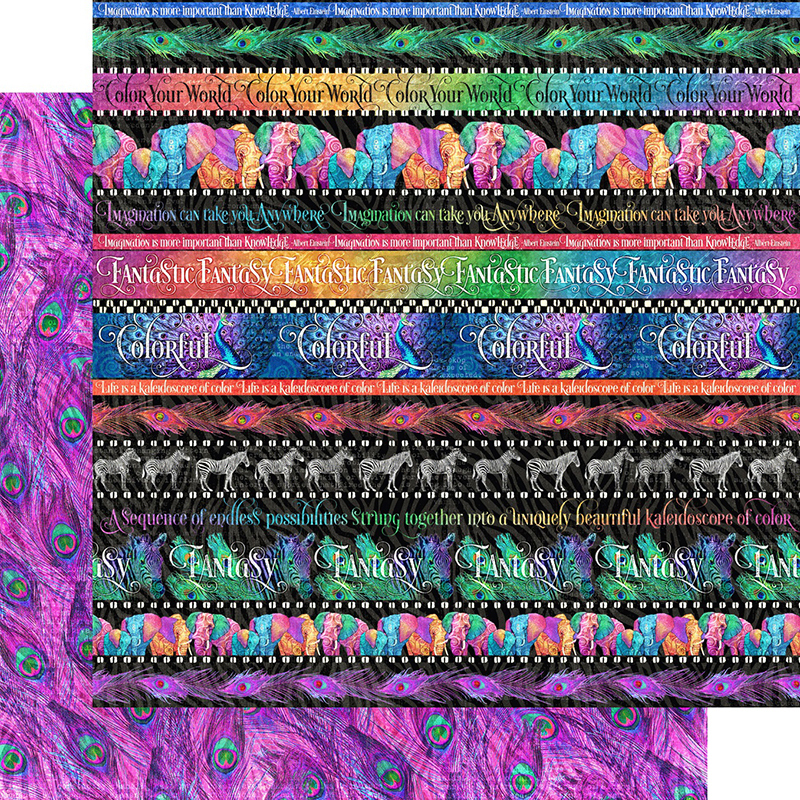 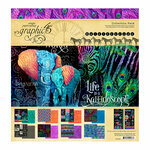 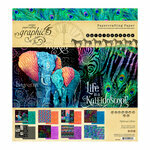 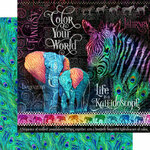 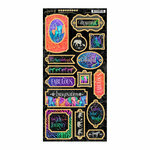 Included in the package is one sheet of paper that has border strips with images of zebras, elephants, peacock feathers and more and the other side has purple peacock feathers. 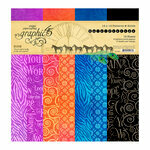 The paper is by Graphic 45 and made in the USA.